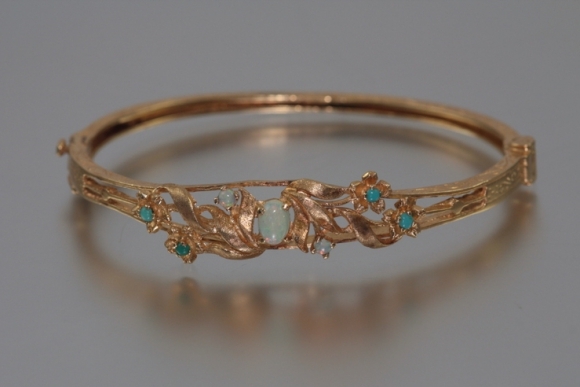 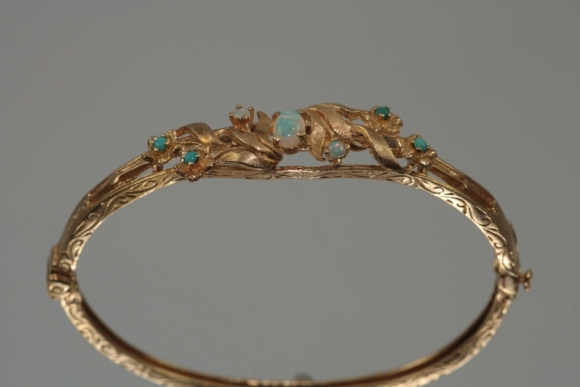 This feminine bangle is adorned with scrolling leaves and set with opals and turquoise. 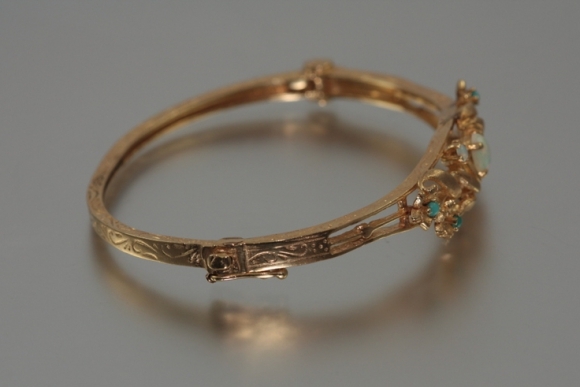 The sides and back of the bangle are hand chased with scrolling engraving. 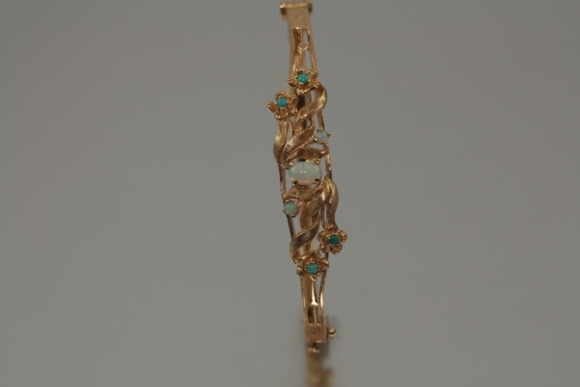 The bangle is secured by a pressure tongue clasp with figure eight safety. 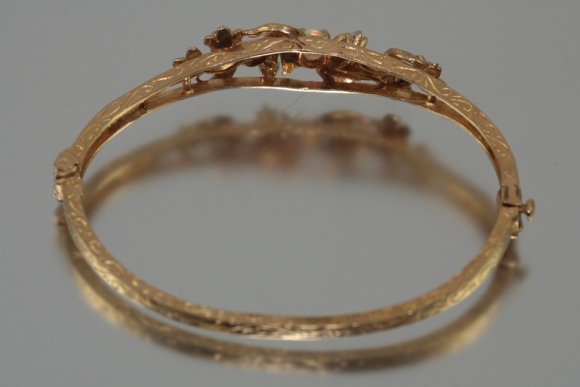 The inside diameter is 2 1/4" x 1 3/4". 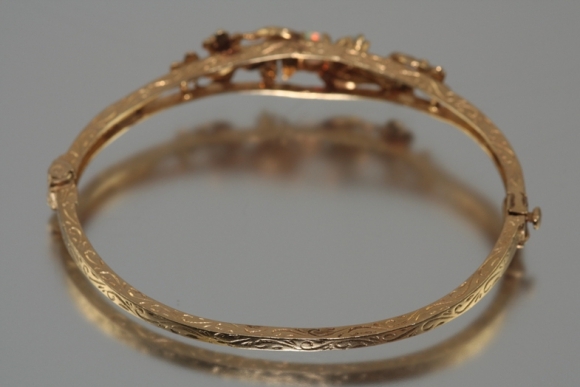 The bangle will fit most small to average wrists. Circa 1940.